Fall and Christmas are my favorite time of year. The weather gets cooler, the leaves change and you are surrounded by friends and family. I consider my customers close friends and even some of them family. That’s why I am dedicating this blog to one special family who have been coming to me for pictures for the past six years; the Cook Family. Over the years we have become so close and I have gotten to know each and everyone of their six children. Brandi and Kevin are some of the sweetest most genuine people I know! They will be moving to Tampa, Florida where Kevin has accepted a job as a Music Minister. I pray for God’s continued blessings as their family embraces this Season of Change! The best part of the Fall season is my sweet grandson Jackson’s birthday! This year he turned 2! How time flies! This fall I photographed an amazing maternity session in Neyland Stadium. Tessa and Justin Israel were so sweet! A really fun couple to shoot… we ended up cutting the session a bit short as Tessa thought she was going into labor… False alarm. Fall leaves provide a gorgeous background. 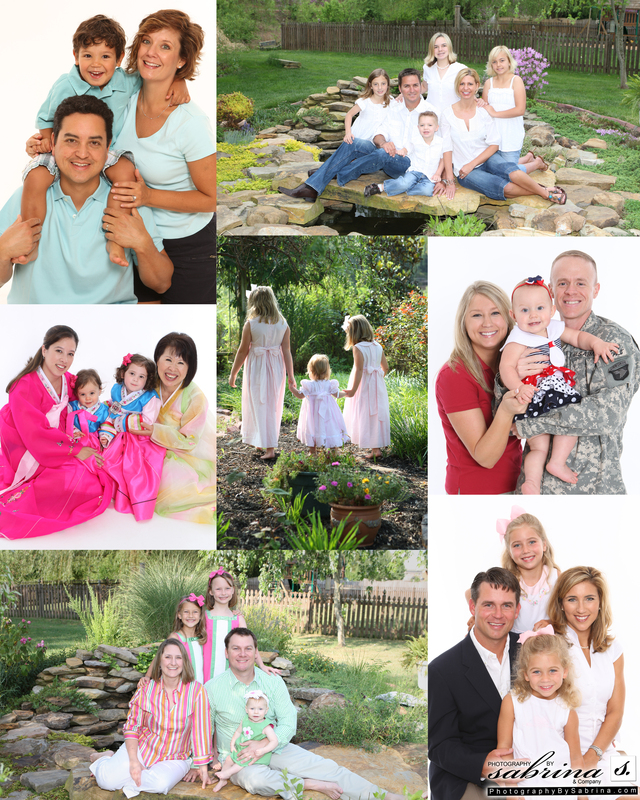 This year I photographed a few of my families at our lake property in Lenoir City and the leaves (and the families) were beautiful! 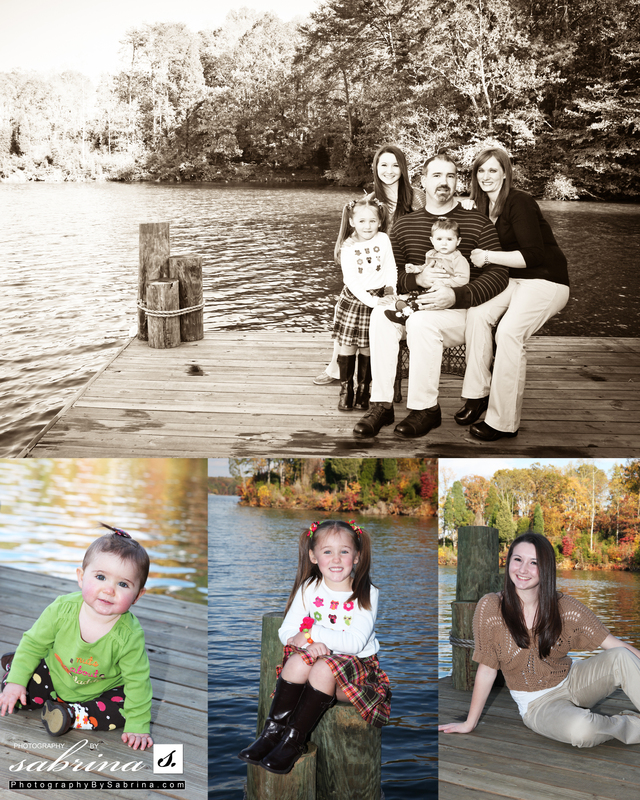 Jennifer Butler and her family are so photogenic! My most recent wedding was for Brittany and Neil Loy. It was an outdoor wedding and reception on a beautiful November day. Brittany and Neil were absolutely radiant as they were framed by the gorgeous fall landscape. I always love the Christmas season. Decorating, being with family and celebrating our Lord and Savior’s birth. The holiday season is terribly busy, and unfortunately there weren’t enough hours in the day to get everyone’s sessions done. 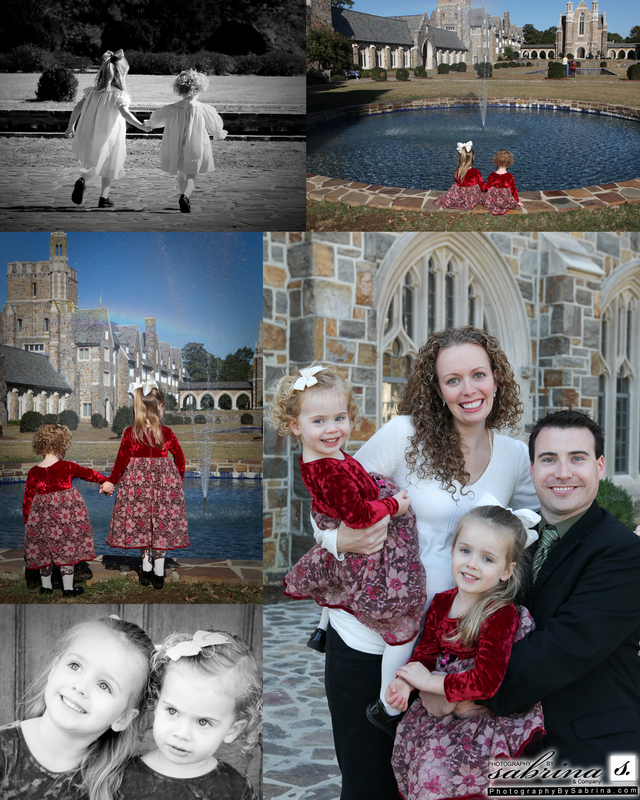 Christmas-time always reminds me how very blessed I am to get to do what I do everyday. I love capturing Christmas pictures because of the sparkle in everyone’s eyes during the holidays. It’s magical! Thank you to all of my customers, clients and dear friends! I’m looking forward to another wonderful year in 2012! Where did summer go? This summer has been filled with so many opportunities to capture some very special milestones. We are so thankful for all of you who helped make our summer so blessed. July was a very busy month for us! Stephanie our youngest was married at the Lily Barn in Townsend and it was BEAUTIFUL! We are so proud of her and her new husband and very excited to have another son-in-law. I’m always sad to see summer end but fall is one of my favorite. I was very excited when one of my bride and groom’s for this fall wanted to do a Trash the Dress session before the wedding…not in the REAL dress of course! I love photographing my couples on their wake-boards because they have such a great time! Daniel and Erica were so adorable during our time on the lake. I really enjoyed seeing the love they share for one another on and off the camera. Erica was so beautiful riding on the water in her dress! I can’t wait to photograph their wedding in September, I know we will have a blast! My weddings this summer have been spectacular! 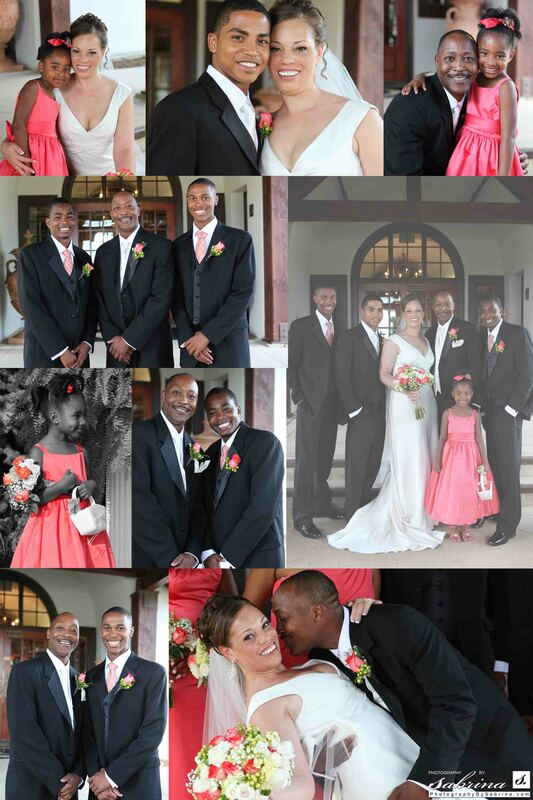 All of the brides have looked stunning and the grooms beaming with joy! This summer has been fantastic for outdoor weddings. I’ve notice more brides are choosing to marry outdoors lately. I can’t blame them; the scenery is gorgeous! I do believe the classic elegance of a church wedding will ever go out of style! Here are some great weddings that feature both. Threds is the go-to company that can create a logo on anything. We photograph products for Sea Ray, Meridian Yachts, Nautique, Mercury, Boston Whaler, McAlister’s Deli, and now Dollywood. Summer is also the perfect time to get Senior Portraits taken! The weather is beautiful and they’re out of school and actually have some free time for a change. Ashley, one of the girls who came in for a Senior Portrait sitting was just stunning. She was so great in front of the camera. My assistant told her she should take these headshots to Talent Trek! Isn’t she gorgeous! 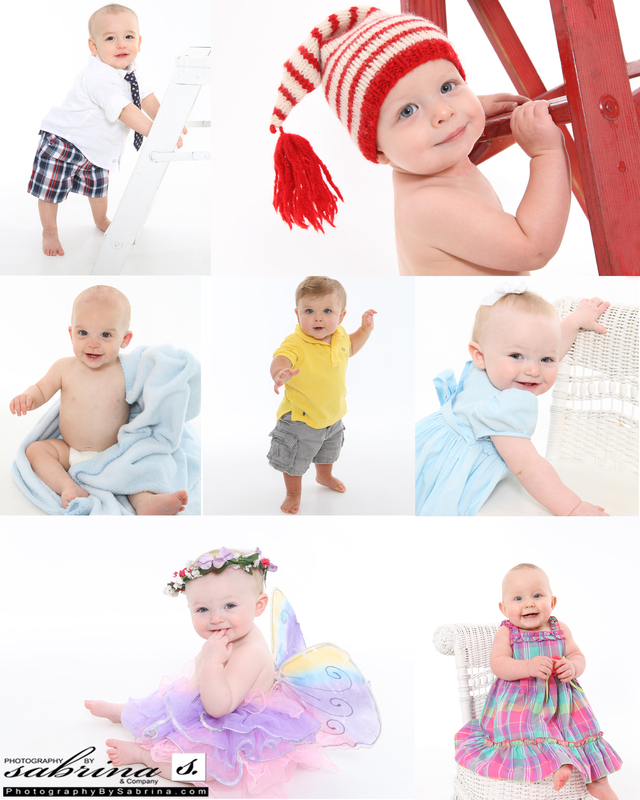 It would be impossible to do a blog without including some of my precious babies from this summer! 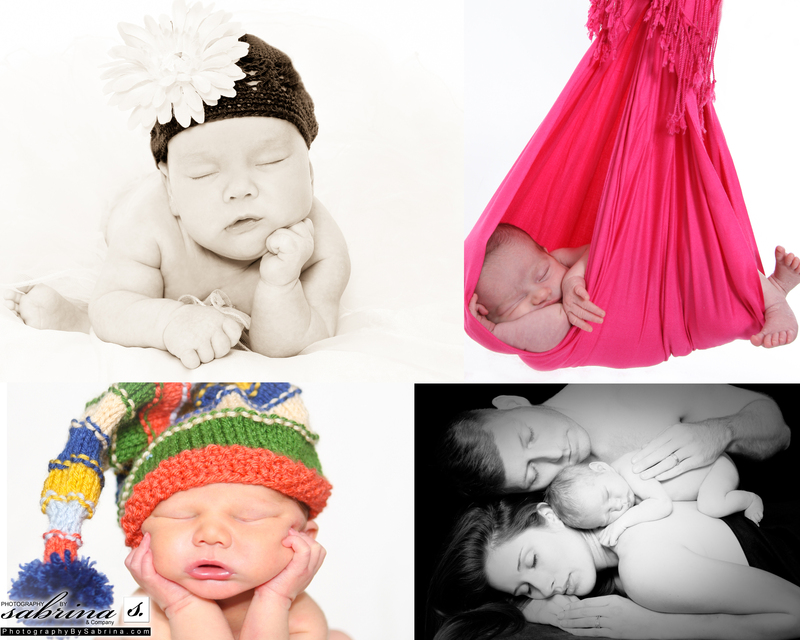 It never ceases to amaze me how sweet these precious little miracles are… I am so blessed to do what I do! May is one of my most favorite months. It’s just perfect for weddings! This past May has been a whirlwind of a month. We’ve seen the most beautiful skies and some of the most tragic storms. I am so blessed that I, my family, friends, and amazing customers are safe. My customers are so important to me and the relationships I form with them. This month I photographed my first session at the Knoxville Botanical Gardens. It was a beautiful garden to match an even more beautiful bride, Brittany Watts. 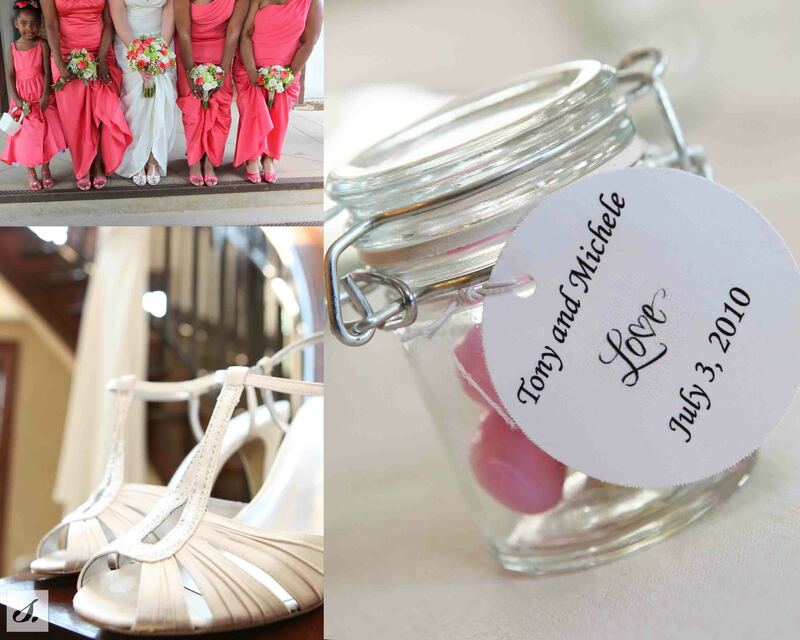 She had the most fabulous pink shoes to match her bubbly personality! I also got to photograph her wedding a few weeks later at Hunter Valley Farm and she looked even more radiant! One of the weddings I had this month was for Nicole and Zach Scroggins. They are absolutely precious and make an adorable couple. Their reception at Tellico Yacht Club was so much fun. Zach and his groomsmen had one of the most creative ideas I’ve seen in a while. They all wore different super hero t-shirts underneath their wedding attire! I guess Zach really is Nicole’s Superman after all! This month I had a chance to photograph a very special customer, Destinee Hunt. I had photographed her at her Sweet Sixteen birthday party and now she has graduated from high school and had me take her Senior pictures. She is such a sweet, gorgeous girl who is oh so fabulous! Watching baby customers grow up is so special to me. Getting to see them throughout the year get bigger and bigger is so precious! This month the little ones were out to play with all the warm weather so I had a chance to photograph so many! 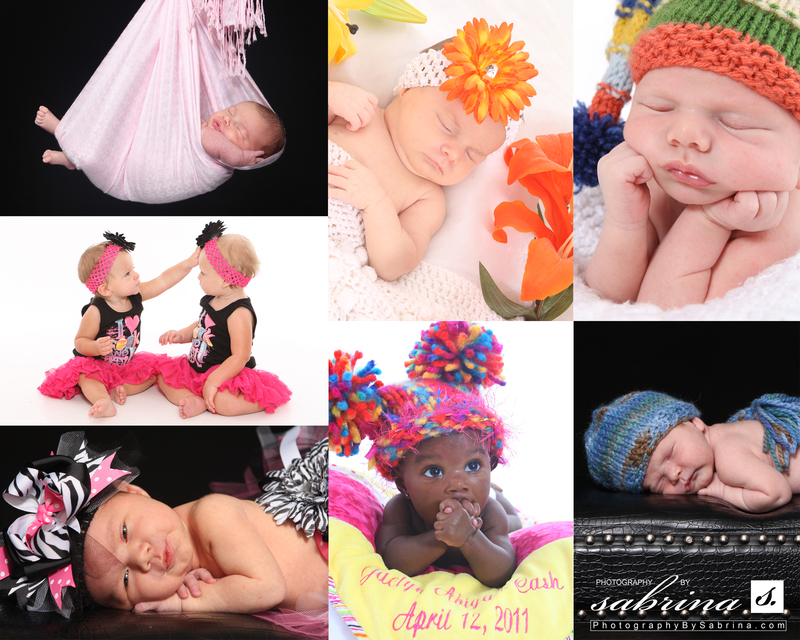 Here are some of the adorable little ones I had in the studio this month. 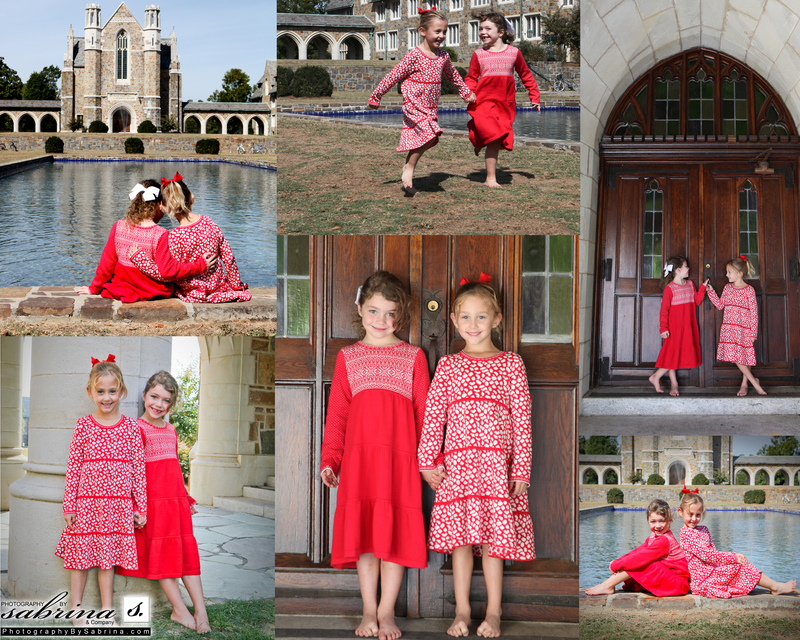 It has been an incredible year for Photography By Sabrina! Business has been absolutely amazing thanks to my wonderful customers! But I am living proof that you can’t always have it all. This year I lost one of the most important people in my life, my father. He and I had such a special relationship and I cherish the time that we had together. That’s why I am dedicating this blog to him. He would have been so proud of all of the things I have accomplished this year. Last years weddings kept me busier than ever; and it wasn’t just the weddings themselves! Engagement and Bridal sessions are just another part of the fun of wedding season. I had wonderful opportunities taking pictures of awesome couples all over town in their engagement sessions and showcase the beauty of all my blushing brides in their bridal sessions. Although Annah O’Hara didn’t have a bridal session, I took photos of her before the wedding. They are so beautiful that I could help but include them as a bridal for the blog. You can see such love and happiness in her eyes! Sequoyah Hills is one of the most beautiful neighborhoods in Knoxville, especially in the fall. Chase and Lindsay Tipton chose the neighborhood for their engagement shoot. Along Cherokee Boulevard give away to the most beautiful majestic trees that are just full of vibrant fall leaves. It’s quite picturesque long the Tennessee River. I was so excited when Whitney informed me that she wanted to have her bridal at the Bleak House because every time I shoot there I find new spots to capture and create images that I love. 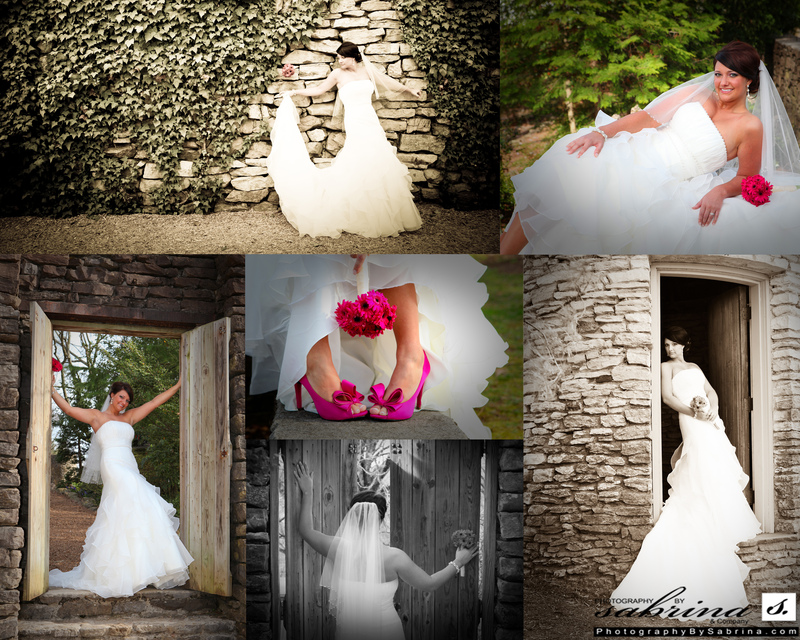 The Bleak House has been one of the most popular spot for Bridal Sessions this year. 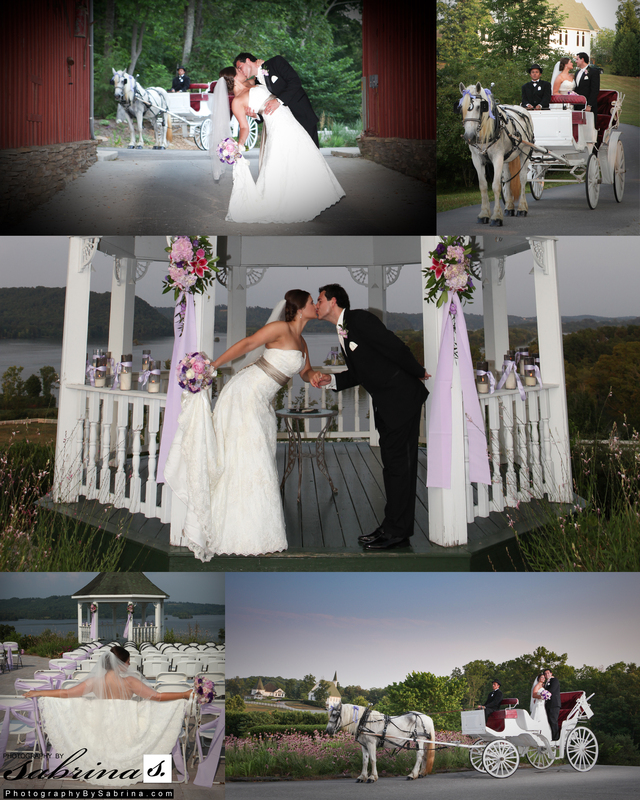 With elegant decor and spacious gardens, its no surprise that brides would request to have their bridal portraits there. 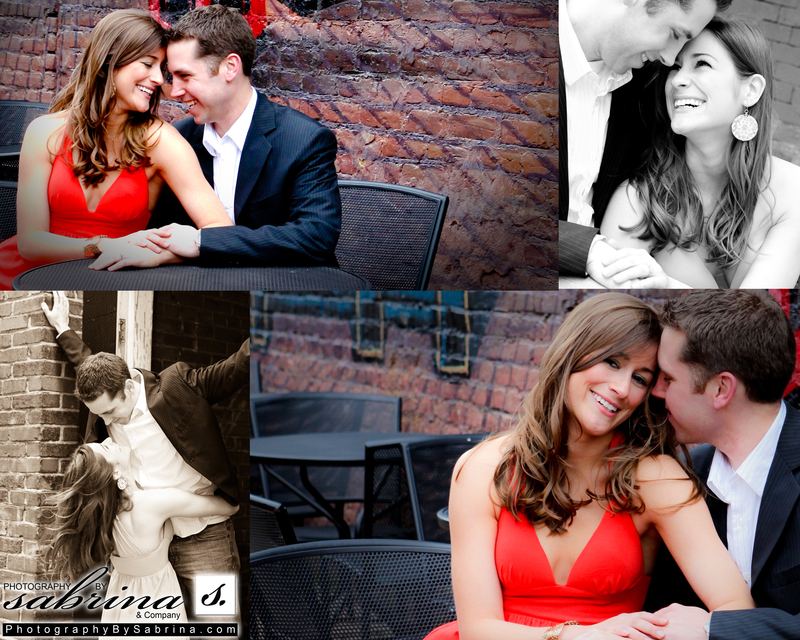 Cathrine and Logan Merritt were such an adorable couple to shoot in the Old City in Downtown Knoxville. The architecture of the buildings added to the ambiance of their romance! They are the sweetest and fun-loving couple and that really translated in their images. I was so excited when Chelsea Cox came to me about shooting her wedding! I had been shooting her modeling portfolios since she was a child. It’s such a blessing to me when I get the opportunity to watch my clients grow-up and capture their special moments through the years. 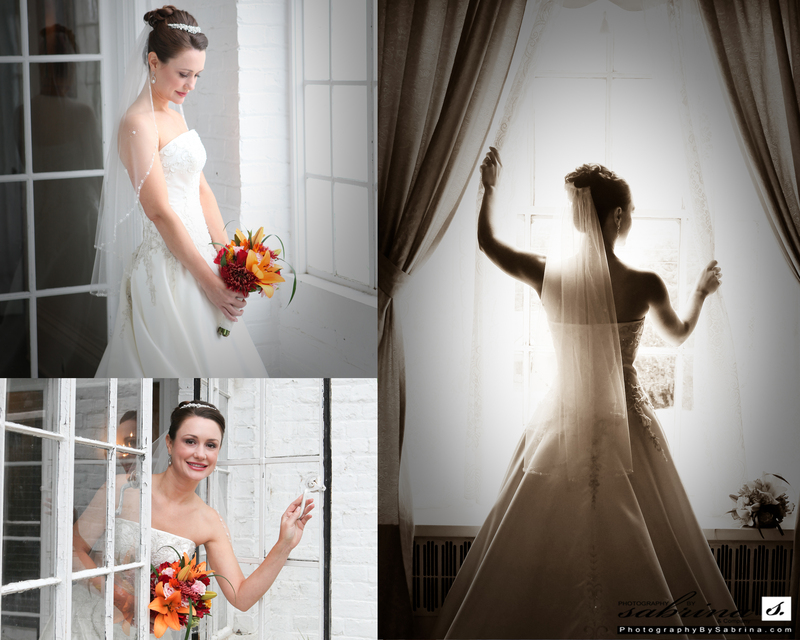 We had so much fun together shooting her Bridal at the Historic Bleak House, it brought back so many good memories! For Elizabeth & Rusty Smith Engagement pictures they decided to go to Cades Cove. It was the perfect day for their session because the sky was so crisp blue and the sunlight beamed through the trees just the perfect amount! 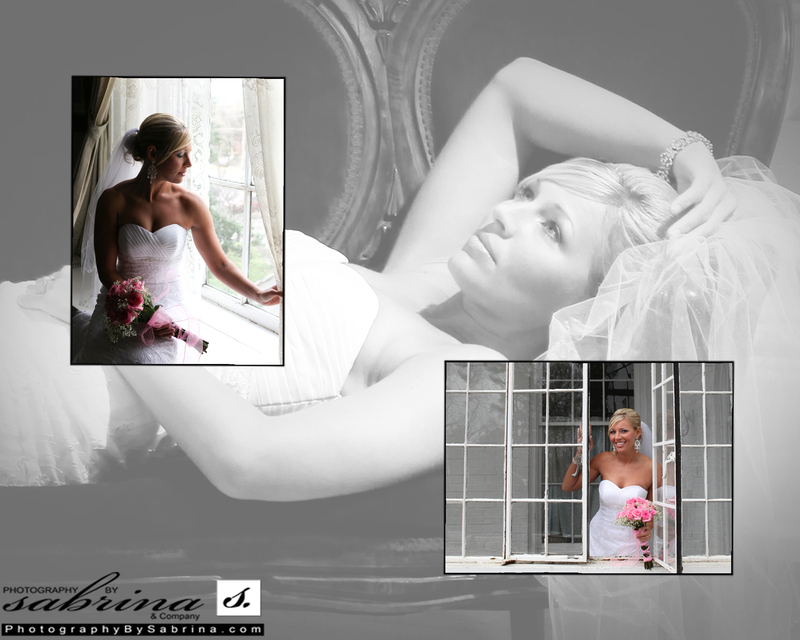 Janet Breeding decided to have her bridal session the the Historic Bleak House like many of my other brides. As the beautiful bride she was, it was so hard to pick just a few pictures for the blog because in every picture she was so beautiful in every image. The University of Tennessee Trial Gardens are one of my favorite places to take couples. There is such a relaxed feel about the gardens with all the whimsical flowers about . It makes me think of “The Secret Garden” because of how vibrant all of the colors are. Chelsea and Matt Cunningham were just a joy to shoot in the Trial Gardens. They are so in love! This year I photographed Chelsea and Matt Cunningham who chose BEAUTIFUL Norris Lake for their Trash the Dress Session before their wedding. Chelsea didn’t Trash her real wedding dress she purchased another dress for this special occasion. 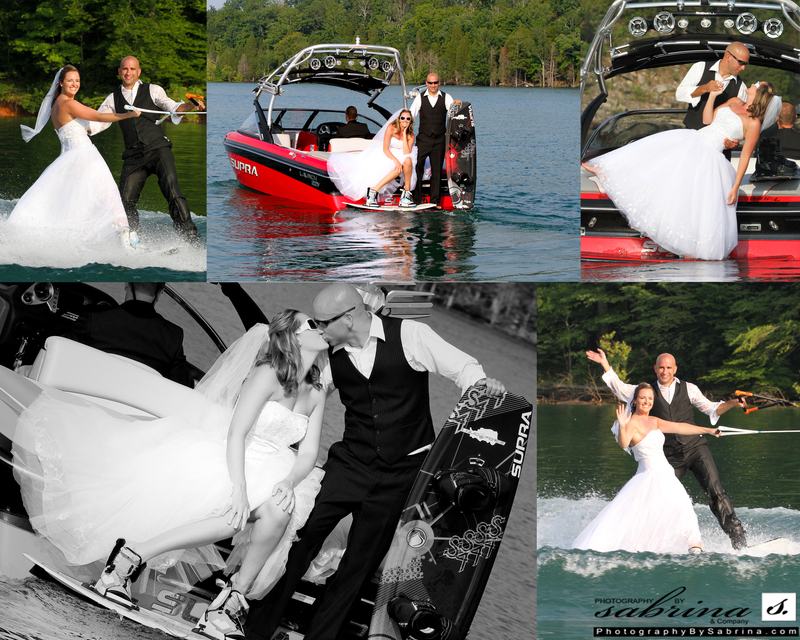 They are awesome at wakeboarding and wanted to try their hand at wakeboarding in their wedding attire….Chelsea got up the first time in her dress…Awesome! This was a difficult task because when the wedding dress gets wet it is super heavy. My most favorite time of year is wedding season. I get such joy seeing how happy my bride and grooms are on one of the most important days of their lives. We in Knoxville, TN are so blessed to have all these marvelous venues such as Hunter Valley Farms, the Norris Damn Tea Room, Caslteton Farms and many more! 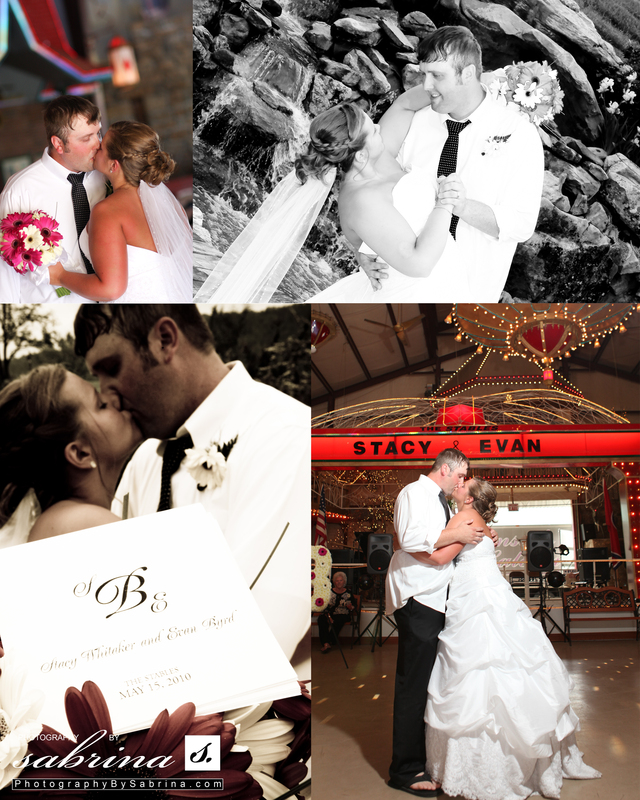 Stacey and Evan were married at The Stables in La Follette, TN on May 15th 2010. The Sables worked as perfect venue this fun young couple. The stone waterfall outside was just a stunning background for the couple to say their vows in front of. The building for the reception appeared to only be a barn but when you stepped inside it was like you stepped back in time of an old western town! There were miniature saloons and billiard halls that were covered in beautiful vibrant lights. This was the perfect and most unique reception venue for this couple! Catherine and Logan Merritt were married on May 22th 2010 on a beautiful point alongside the lake with their close family and friends. This was a absolute beautiful spot for one of the sweetest ceremonies I’ve ever seen. My most favorite part of the wedding was when Catherine not only carried a beautiful bouquet of flowers but her childhood teddy bear as well. So sweet! Tess & Drew Lefmann were married on June 5h 2010 at the First United Methodist Church in Oak Ridge, TN. Tess looked absolutely stunning in her dress, a true vision as she walked down the isle. After the ceremony Drew and Tess just looked radiant coming down the isle about to go to their reception at the L&N Station. Sam and Lucas Henderson were married at The Norris Damn Tea Room on July 10th, 2010. The barefoot couple attended the ceremony to show their relaxed and natural personalities. They shared their vows in a beautifully lit amphitheater that was surrounded by trees. During the ceremony, I captured the pure spiritual love the couple have for each when Lucas washed Sam’s feet. This action symbolizes the vow to remain humble and serve each other equally in marriage. Lacey & Hunter Mason were married August 28th 2010 on Kilpatrick Springs Farms in Sweetwater, TN. The pre-wedding shots of them were absolutely precious! We were all in amazement that a storm was coming and some how it missed the wedding completely! What a true miracle! Rusella & Richard were such an elegant couple. They’re wedding was at Crescent Bend and their reception at Gettysvue Country Club. Rusella took some amazing shots with the Rolls Royce they had for their wedding. I felt like I was doing a modeling shoot instead of a wedding. She was so beautiful and fun. 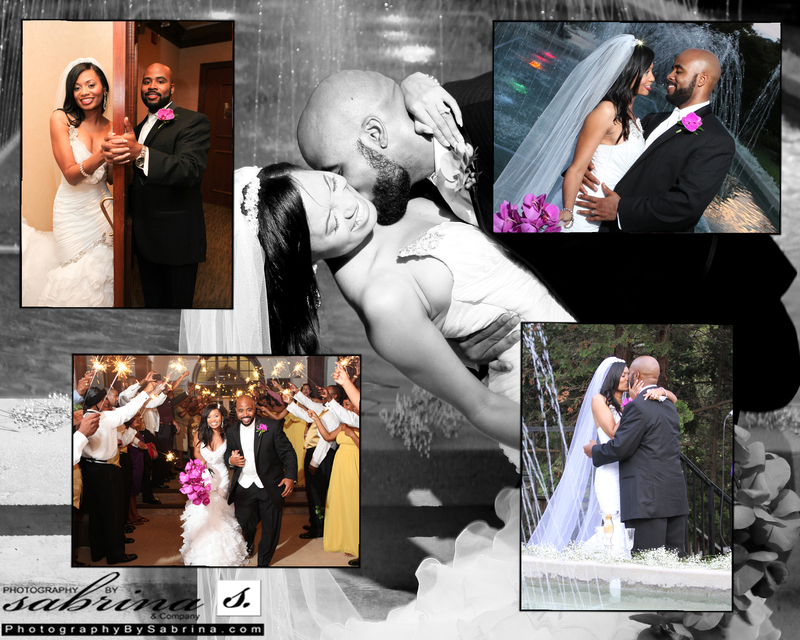 I was so excited when Essence Magazine called and wanted to feature this wedding on their website! I was so excited and saddened at the same time knowing that my time with Chelsea would come to an end. After spending so much time with her over the past year I hated to see it come to an end. I can’t wait to see them have babies one day so that can continue to spend time with them and capture and create their special memories! 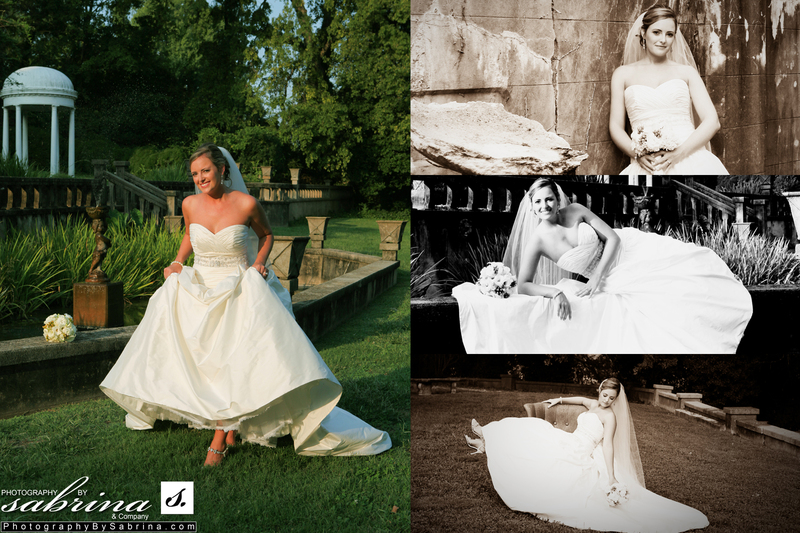 Chelsea’s Chelsea & Matt were married October 16th 2010 at Castleton Farms in Loudon, TN. Since it was October there were splashes of oranges and yellows that were extremely beautiful. They were so adorable and relaxed on their wedding day, it was just a beautiful couple getting married on a beautiful day! This year my Watch Baby Grow package was more popular than ever! The Watch Baby Grow Package features Maternity, Newborn, 3 months, 6 months, 9 months and 1 year sessions. I started offering the full right to the session to my customer, which was a big hit! 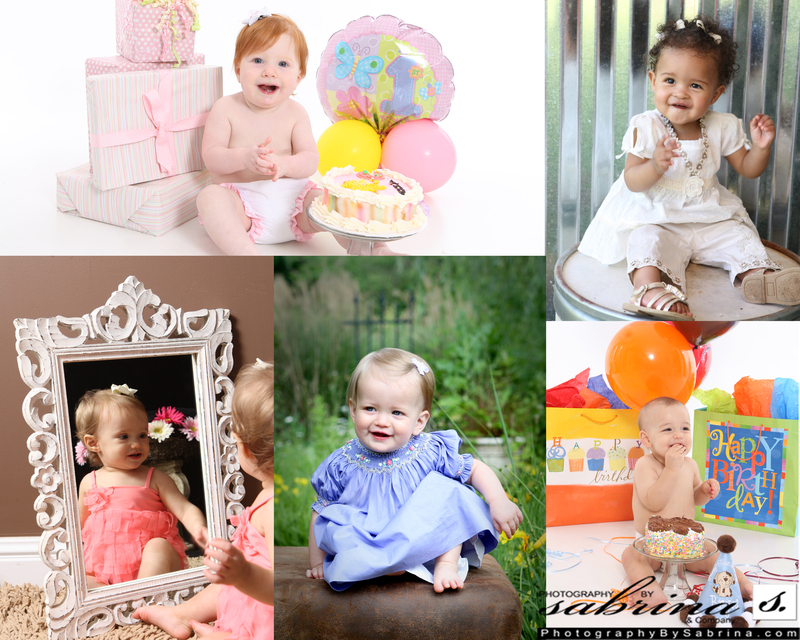 They were able to have a CD full of photos of their precious little ones all for $150, I also included ten free 4×6 prints and 25% off printing at F-32 Photo! This way families could share their photos electronically and have them printed at their convenience. 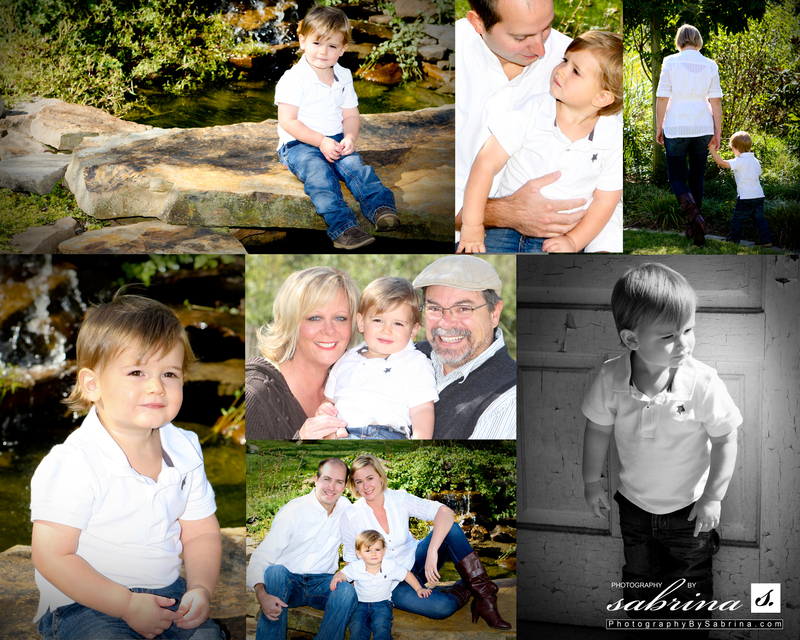 This year I also offered the File Package to my Family Session customers. Having the CD is so convenient; especially when you have customers who live out of town or when I go on vacation and get a chance to photograph new families, like when I went to Georgia and Texas this year. It’s much easier on both ends to get the CD because you don’t have to fuss with the orders, printing and shipping! Plus they are easy to share with friends ad family. 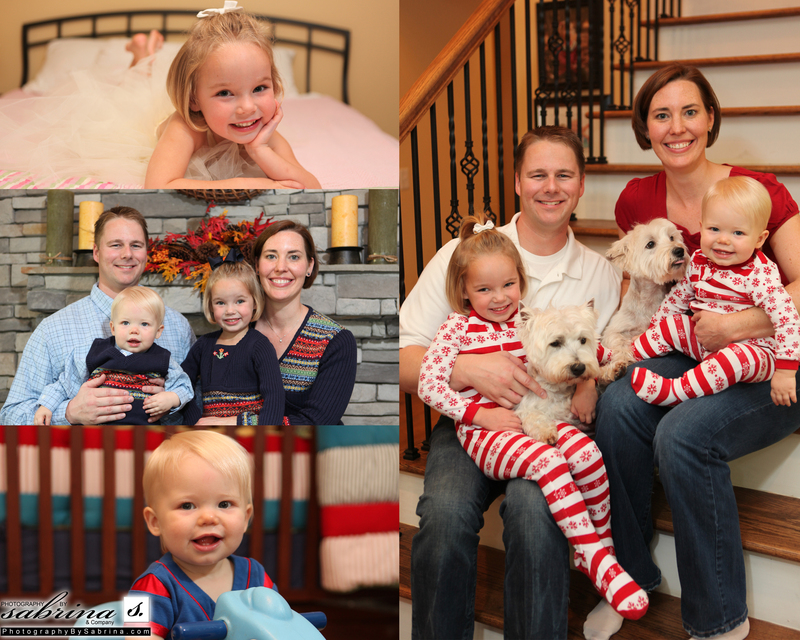 This holiday I have been super busy shooting adorable baby and sweet family pictures. 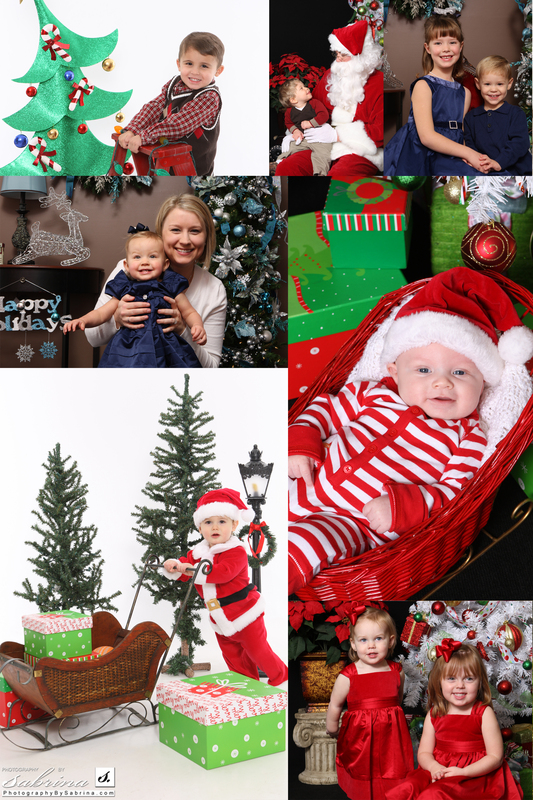 From classic holiday portraits with the Christmas tree to Dad playing the perfect Santa Claus; all capturing the true spirit of Christmas! The holidays always make me feel blessed that I get to do what I love and give people still frames of their precious family moments. Right now more than ever it is so important to capture the ones you love during this beautiful time! This season my New File Package has been a big hit! It includes full rights to the session on a CD that you get to take how the same day, ten free 4×6 prints and 25% off printing at F-32 Photo (formerly known as Express Photo) all for $150! This is a great way for families to print Christmas cards, upload their photos onto social networking sites to share with family and friends and much more! I could never thank all of you enough for trusting me to capture all of your special memories! I am so blessed to do what I do! Thank you! I pray all of you have a Merry Christmas and a Happy Holiday! Michele and Tony make not only a beautiful couple but a beautiful family. The feeling of love was undeniable at this wedding, the couple just put you in a good mood . 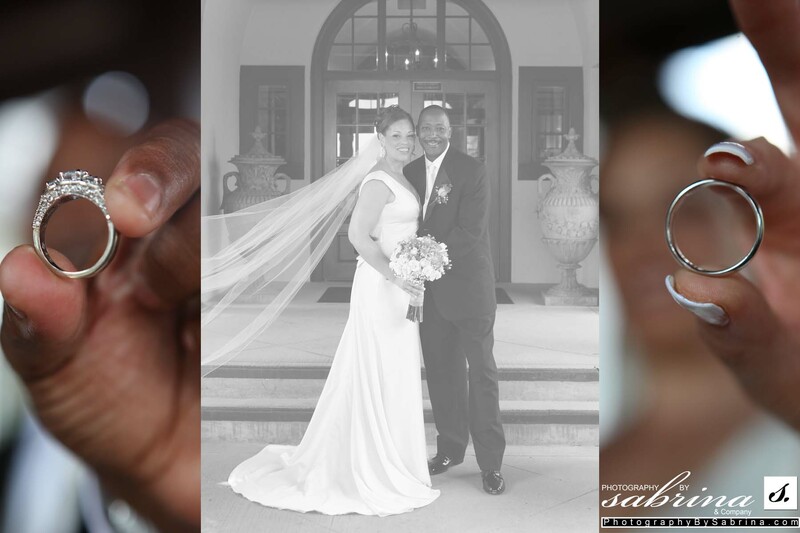 Gettysvue was the perfect venue for the former University of Tennessee and NBA Basketball star, his future wife and family. This wedding was more than just the joining of just Tony and Michele, but the joining of two families. The ceremony was definitely a family affair. Two of Tony’s sons served as groomsman while Michele’s son walked her down the isle. Tony’s adorable granddaughter also served as flower girl. The ceremony started off with the beautiful song “Season” by Donald Lawrence that was performed by Michele’s Maid of Honor Rachel Smith as the Attendants walked to the ceremony. Michele stated that the theme of their wedding was Walking into our New Season so “Season” was a perfect song choice . Michele looked picturesque as she walked down the isle with a gorgeous bouquet of coral and white roses with green accents from Bella Fiori. During the lighting of the Unity Candle Michele’s Maid of Honor sang a song that Michele wrote for Tony. Michele said, ” the song I wrote was titled “Agree“ it is inspired by Amos 3:3, which is the foundation of our marriage.” The song was so beautiful and very sentimental with the loving religious meaning behind it. After the Ceremony the couple made their way to a gorgeous reception also catered by Gettysvue. For desert the Bride and Groom cut in to a beautiful cake by Elaine Mason’s I Do Cakes. The guests danced the night away with music provided by KnoxVegas DJ’s. Once the evening concluded Tony and Michele were sent off by their guest with illuminating sparklers and rode off into the sunset in a classic hunter green Rolls Royce provided by A Rolls Royce Rental. A beautiful wedding coordinated by Kristie Wright from Ever After Events! After our blistering summer of heat, I believe everyone is ready for a little fall breeze to blow in with the inaugural kick-off at the UT v UT-Martin game this Saturday at Neyland Stadium. Derek Dooley leads the Vols into the season as the 22nd head coach at University of TN. Excitement is running high as this weekend grows closer! Make sure you pick up a Football Time magazine and check out Dooley’s full editorial page right next to my newest football ad! You can pick up this sleek informative magazine at Neyland Stadium, select grocery stores, or by emailing Football Time in Tennessee. 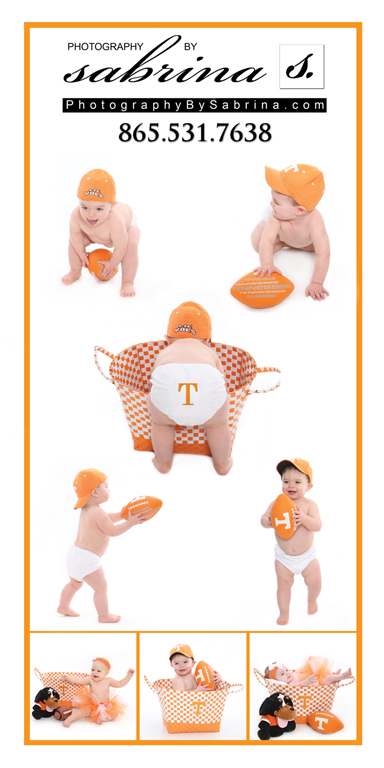 I have had a blast in the studio trying to keep up with all the little up-and-coming VOL fans in my studio. Check out a few of my favorites! This is my ad in Football Time Magazine! Don’t forget to check out Football Time Magazine!